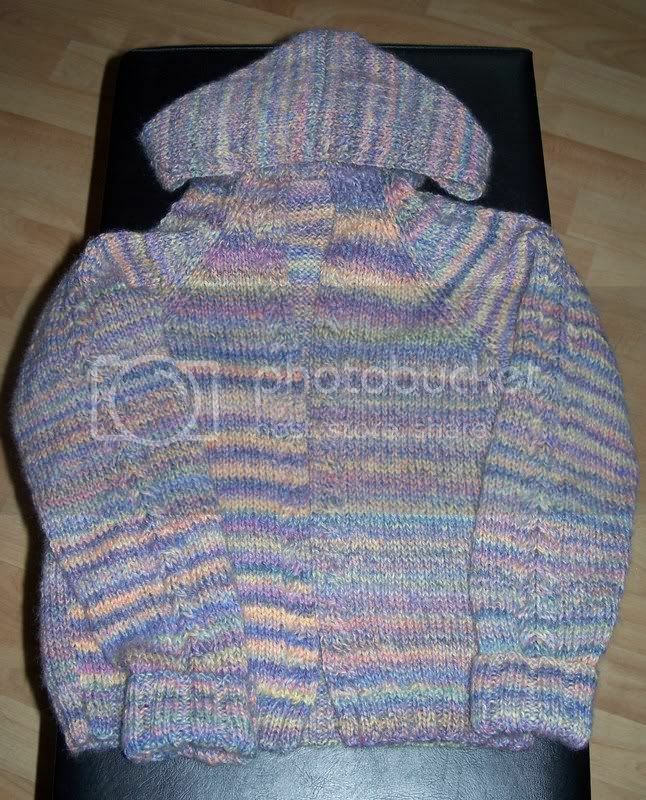 I've just finished sewing up the cardi I started last week for jasmine. I'm pleased with how its turned out, I just need to sew the zip in:-)and give it a wash and block! As its for jasmine, I've called it "Jazzy"!!!! Really gorgeous! I'm very impressed with your designing skills! It looks really lovely! you are so clever making up the pattern - with a hood and everything *bows to your knitting prowess* !!!!!! Terri its so pretty! You are really clever, and I'm sure Jasmine will love it. That's turned out brilliantly, well done. She'll look lovely snuggled up in that, please post a piccie of her in it. that looks great, I love the colour.